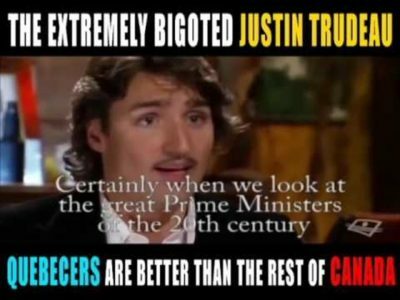 Justin Trudeau, Canadian prime minister and leader of the Liberal Party of Canada, has become an icon of the West’s rapprochement with Islam and its openness to Islamic values. Trudeau has unapologetically defended the right of Muslim women to wear a niqab, a traditional garment that covers the entire body and head with a slit for the eyes. 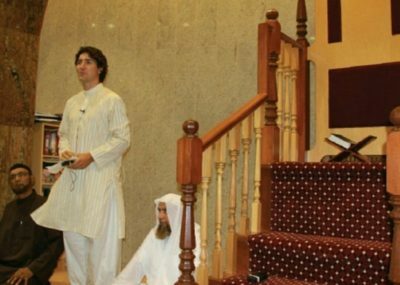 He often visits mosques and Islamic centers, including those identifying with the Salafist movement and the Muslim Brotherhood, and he has praised the values of Islam, presenting them as compatible with Canadian values. 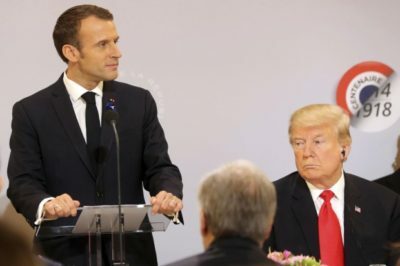 When French President Emmanuel Macron denounced populist nationalism this week and called on world leaders to support institutions such as the United Nations that defend “the common good of the world,” liberal elites cheered. The speech was seen as a rebuke of President Trump, whose opposition to “globalism” and embrace of “nationalism” are held up as signs of the decay of American conservatism and U.S. global leadership. Sorry, but American conservatives were opposing the globalist project long before Trump arrived on the scene. The Financial Times has a woman problem, or so it thinks. In the push for gender equality, and to reach out to female readers, boffins at the paper have developed a bot that warns journalists when they’re quoting too many men. The paper, which mostly covers the stuffy, male-dominated worlds of finance and industry, found that only 21 percent of the sources quoted in its articles were women. To combat this, the FT team then developed a bot that trawls articles, scanning pronouns and first names to warn section editors if they aren’t including enough women in their stories, according to a report in the Guardian. 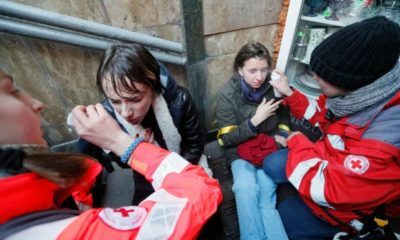 Two activists have been attacked with pepper spray in Kiev during a transgender rights march that was interrupted by dozens of far-right protesters. About 30 people were taking part in the demonstration in the Ukraine capital, holding rainbow flags and banners with slogans including “Transphobia must be stopped” and “If you stay silent, they will come after you too”. The far-right protesters lit smoke bombs and threw them into the crowd, an Agence France-Presse journalist at the scene said. Prime Minister Justin Trudeau says he’s disconcerted by Ontario’s decision to slash French services in the province. “I was deeply disappointed by the decision of the Ontario government to cut services and protections for the francophone minorities in Ontario,” he said at a press conference at the tail end of his trip to Papua New Guinea. He said his reaction should come as no surprise, since protecting language is “extremely important” to him and his government.